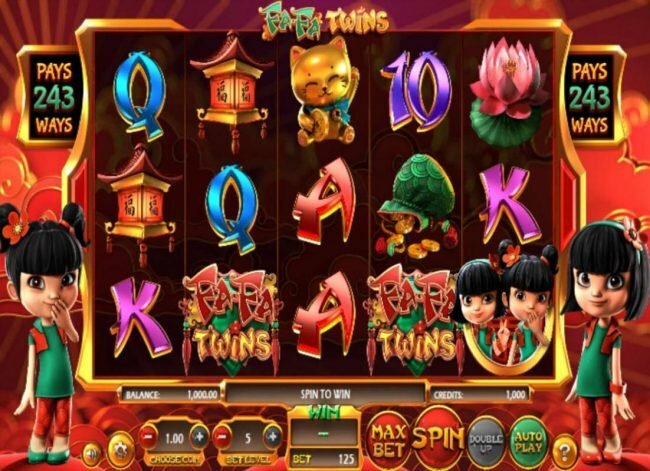 Fa Fa Twins is a free play 5 slot reel slot machine with a maximum payout of $810,000 using the Asian girls theme. 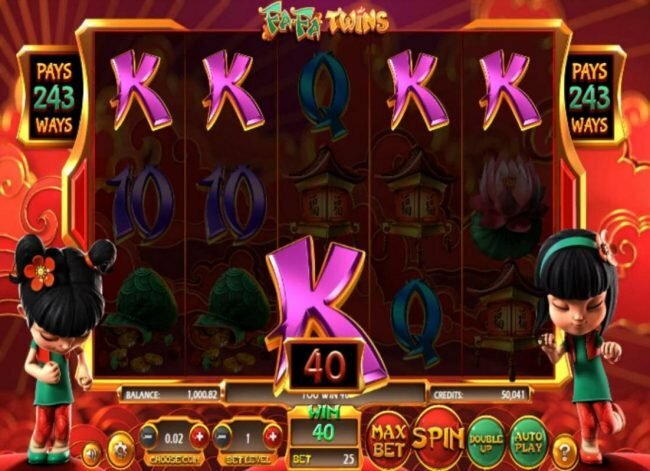 Fa Fa Twins Slots 4 out of 5 based on 4 ratings. 4 user reviews. 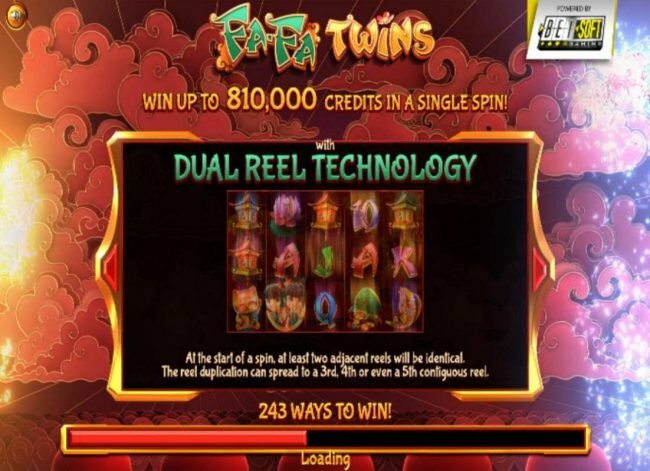 FaFa Twins is a 5 reel, 243 ways to win Betsoft designed video slot that’s themed around a set of twins in Japan. 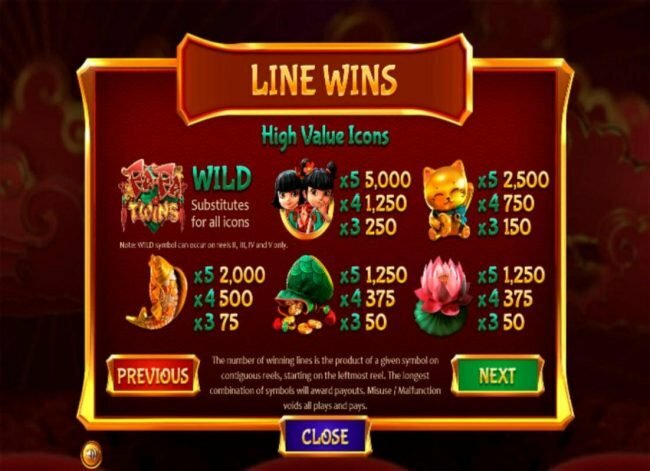 The features include wild symbols, double ups and for real excitement, an $810,000.00 jackpot prize. Graphically speaking, Betsoft is known for providing some of the highest quality Casino games. FaFa Twins is no different. The game is presented in the high definition format. The backdrop shows the two twins, dressed in the same outfit but with different hairstyles. Behind them, there’s a Japanese morning painting displaying clouds and the sky during the sunrise. The reels have a kitten, a golden fish, a pouch of money, the game logo, pink Lilly’s, the twins, a Japanese shrine and Japanese themed poker suits shown as the slot symbols. These icons award large payouts as well as complete the theme. The betting selection is comprised of two features that allow for players to select the value of their bet. Using these will allow for wagers from $0.01 to $125.00 per spin. The FaFa Twins game logo is secretly the wild. 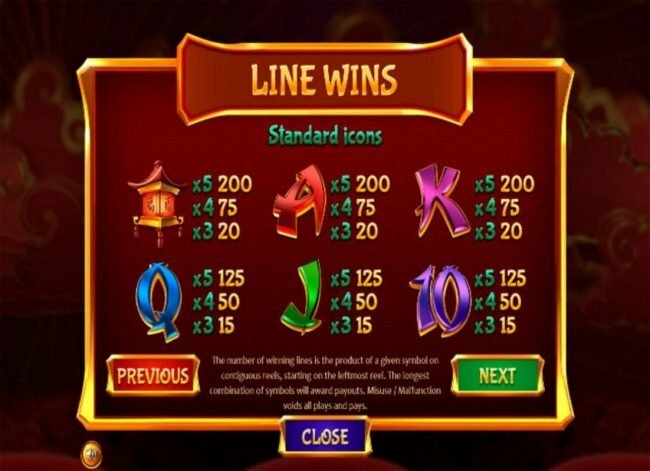 This symbol substitutes all icons from the reels to award multiple payouts. Wilds appear on the 2nd, 3rd, 4th and 5th reels only. Accessing the “Double Up” feature can be done at any time during the base game. Players will have a separate screen displayed when this feature is selected. 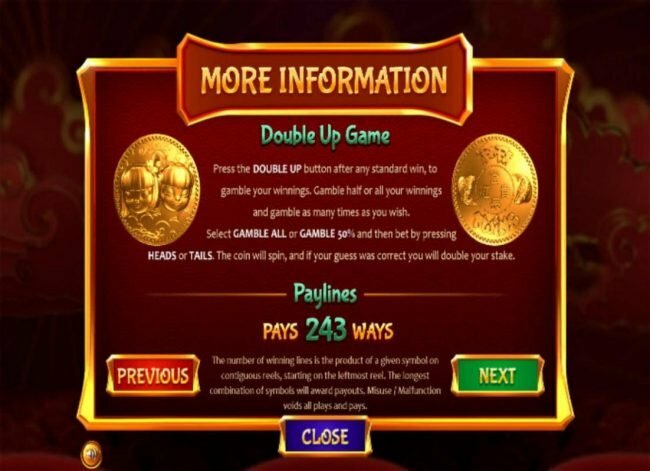 This screen will allow for players to choose between Gambling their full last payout or only half of their last payout. Then, punters must determine if the coin that is about to be flipped will land on head or tails. Choosing correctly will have double the value gambled awarded immediately. 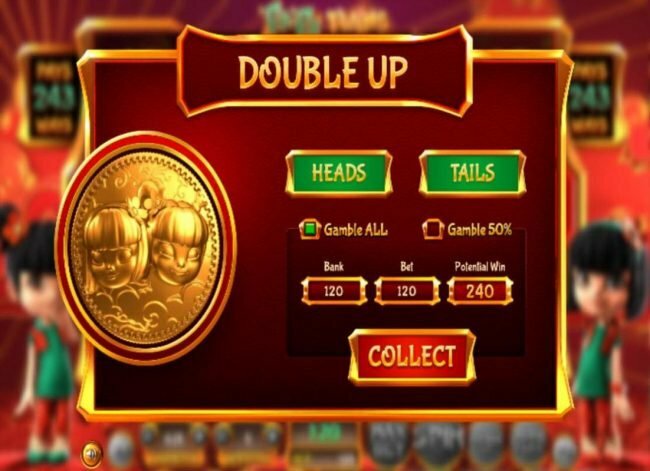 FaFa Twins, it’s visually one of a unique games that betsoft offers. You feel as if you’ve been transfixed inside a painting. The gameplay only furthers the excitement will its numerous standard payouts and Bonus features. 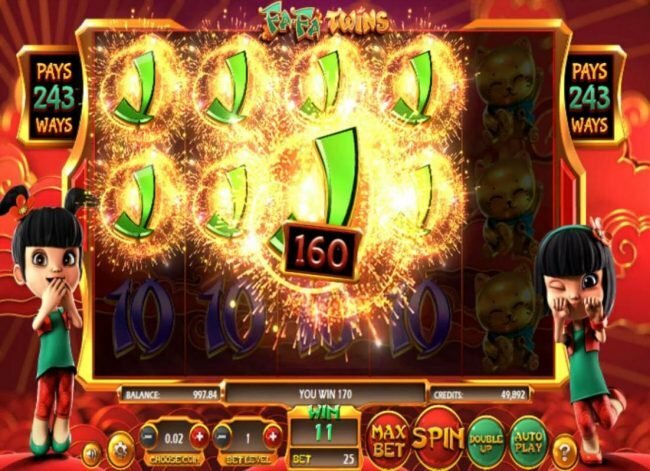 These combined aspects allow for this Slot to be enticing. Gossip Slots requires that you must make a deposit between free Bonuses to be allowed to process a withdraw. Gossip slots casino is prohibited in Antigua and Barbuda, China, Israel, Nigeria, Pakistan, Sierra Leone, Somalia and Sudan locations. Omni terms state that you have to make a deposit between multiple Free Casino Bonuses to be allowed to make a withdraw. Afghanistan, Belgium, Bulgaria, China, Cuba, Cyprus, Estonia, France, Hong Kong, Iran, Iraq, Israel, Italy, Macao, Philippines, Serbia, Seychelles, Spain, Sudan, Turkey, United Kingdom, United States and Yemen countries are not allowed to play at Omni. Be sure you do not use multiple no deposit casino bonuses back to back at Spintropolis as they may not pay you for violating the rules. Note that Afghanistan, Albania, Algeria, Angola, Cambodia, Ecuador, Guinea, Guyana, Hong Kong, Indonesia, Iran, Iraq, Israel, Kuwait, Namibia, Nicaragua, North Korea, Pakistan, Panama, Philippines, Singapore, South Korea, Spain, Sudan, Syria, Taiwan, Uganda, United Kingdom, United States, Yemen and Zimbabwe players are forbidden at Spintropolis. Be sure when you use a free Bonus code from Drake as with most Arrows Edge and Bet Soft powered casinos, you have to post a qualifying deposit if your last bonus was a no deposit one. Drake Casino is prohibited in Antigua and Barbuda, Canada, China, Israel, Nigeria, Pakistan, Sierra Leone, Somalia and Sudan locations. Note that Bulgaria, Costa Rica, Denmark, Israel, Poland, Romania and Ukraine players are restricted at Winward. Take care you do not use more than one No Deposit Casino Bonus as they may not pay you for not following the rules. Orientxpress Casino is prohibited in Afghanistan, Albania, Algeria, Angola, Cambodia, Ecuador, Guinea, Guyana, Hong Kong, Indonesia, Iran, Iraq, Israel, Kuwait, Namibia, Nicaragua, North Korea, Pakistan, Panama, Philippines, Singapore, South Korea, Spain, Sudan, Syria, Taiwan, Uganda, United Kingdom, United States, Yemen and Zimbabwe locations. I have tried this game on 3 occasions, and have never been able to play long, seems very hard to get a winning combination. It seems like it would be great fun, but so far, my experience has been it will take a lot and give back little to nothing, so I can't say its one I will likely play again. Like any slot, if your winning its fun.. however this one is just without the added extras that get your blood moving more than not.. for that reason, I would likely never play this on my own dime. 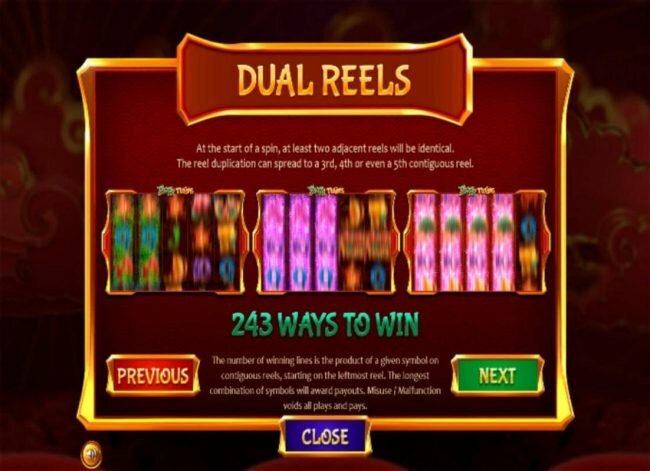 I love the graphics, and the duplicate reels... can play along time on not tons of money it seems, however, I saw not more than one decent win in a lot of spins.